Learn how you can get your hands on Exotic gear in Destiny 2. 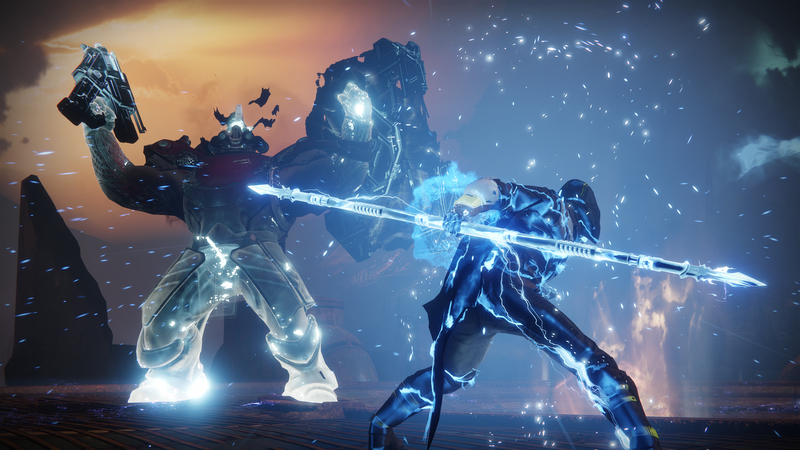 With the release of Destiny 2 comes the same questions that pervaded the first game, including how to get Exotic gear. 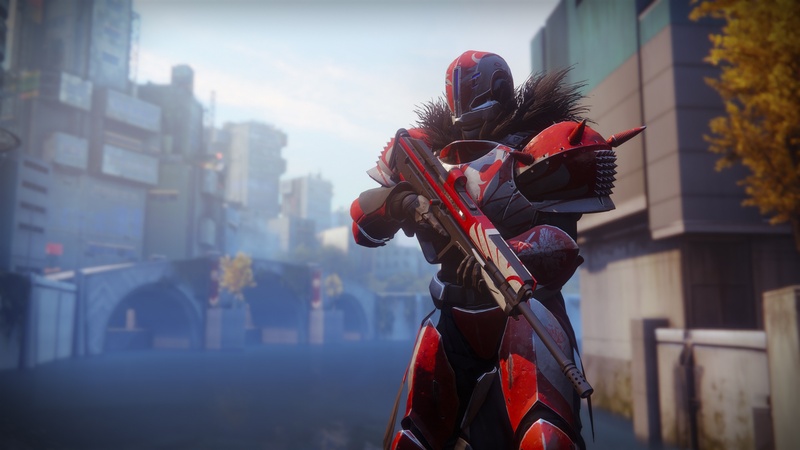 Some of the best gear in Destiny 2 are Exotics, which means you should try your hand at snagging some be it weapons, armor, or misc gear. Unfortunately, because of how coveted Exotics are, actually acquiring them can be a bit of a challenge. To help, we put together a quick guide on how to get Exotic gear in Destiny 2. You have several options available to you when it comes to getting Exotic gear in Destiny 2. If you played Destiny, you’ll be happy to know that the process of getting Exotic gear in Destiny 2 is relatively similar. One of the biggest changes is that you won’t have the Three of Coins to assist you. Below, we’ve listed some of the ways in which you can get Exotic gear in Destiny 2. Exotic gear can be unlocked through Destiny 2’s story progression. Exotic gear can drop as a reward for completing Adventures and other Activities. Exotic Engram drops can still be earned and exchanged for Exotic gear in Destiny 2. Quests now reward Exotic gear in Destiny 2. Xur has returned to Destiny 2, and will still offer Exotic gear as a merchant. One of the easiest ways to get Exotic gear in Destiny 2 is by making your way through the game’s story campaign. During the story campaign, you’ll be given numerous opportunities to select from a set of three Exotic weapons, as well as armor. At this point, you’re free to choose whichever Exotic piece fits your character best before continuing on with a stronger character. Other items can be unlocked by completing the story campaign including your first Sparrow. We outlined the process in another guide if you’re still having difficulty snagging a Sparrow in Destiny 2. Another thing that has carried over from the first Destiny game is Exotic Engrams. Exotic Engrams work in almost the exact same way as before. Players can earn Exotic Engrams through events and missions, and can then turn them in at the Cryptarch for Exotic gear. Farming Exotics this way can be time consuming, as the drop rates for Exotic Engrams are quite low. One way to snag Exotic Engrams in Destiny 2 is by completing Nightfalls and Strikes. A quicker way to snag Exotic Engrams in Destiny 2 is by completing Strikes and Nightfalls. Furthermore, Quests are another surefire way to get Exotic gear. As you make your way through Destiny 2, you’ll be given quests and objectives at random. When you find an Exotic Quest, it will take up one of your inventory slots. To unlock the Exotic item inside, you’ll need to complete the set list of Exotic Quest requirements. Lastly, you can pick up Exotic gear, weapons, and armor by paying a visit to Xur. The only issue here is that Xur can appear anywhere within Destiny 2, and it’s up to players to track him down. Fortunately, Xur’s location is often posted by users online. Note that Xur won’t make his first appearance in Destiny 2 until Friday, September 15th. There you have it, all the ways in which you can get Exotic gear in Destiny 2. Do you have Exotic gear already? Post your favorite items down in the comments below! By reading through this guide, you should now know how to get Exotic gear in Destiny 2.